If you’re still pumping money into the stock market, mutual funds, retirement accounts, and bonds without setting aside anything for real estate, then you’re making a huge mistake. Real estate is one of the safest investments you can make and with interest rates so low, now is the best time to get involved. The wonderful thing about real estate is that there’s so much flexibility. For example, the Scottsdale, Arizona real estate market is one of the hottest in the country right now. It’s become an extremely popular area for purchasing investment properties and turning them into rentals. Furthermore, you can actually invest from afar and still reap the same returns. 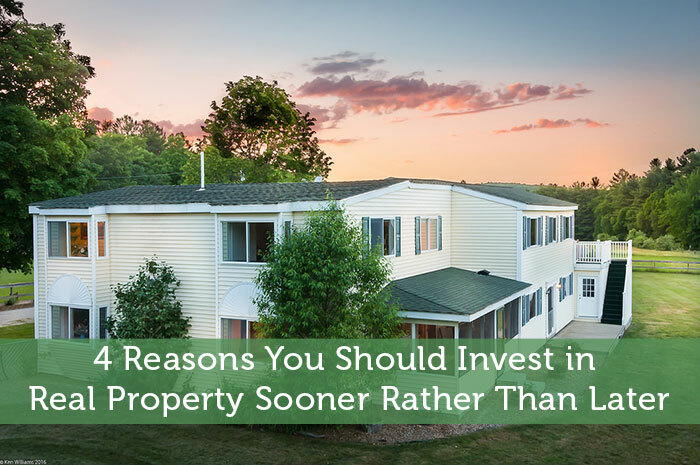 If your plan is to buy investment properties with financing, there’s never been a better time. Rates were below 4 percent for more than a year and have just now shot above that mark. Still, historically speaking, 4 percent is an incredibly low rate. “Lower rates can give buyers more purchasing power,” says Janna Herron, senior editor for The Fiscal Times. “For example, the monthly payment for a $160,000 loan with a 3.75-percent rate is nearly the same as the payment for a $150,000 loan with a 4.25-percent rate. That $10,000 of additional borrowing power could be the difference between an accepted offer and a rejected one in a situation where buyers are competing for a property. Over the course of a 30-year loan, securing a 4.25 percent loan versus a 6.25 percent loan can save you tens of thousands of dollars. For example, let’s say you’re taking out a $100,000 loan. At 4.25 percent, you’ll end up paying roughly $77,000 in interest over 30 years. But at 6.25 percent, you’d pay roughly $121,000. That’s an entire year’s salary for many people. Unlike other investments, real estate gives you the opportunity to cash flow each month. While mutual funds and stocks grow, you don’t really get the chance to pull money out very often. You typically leave it alone and let it earn interest. A rental property is a different story. If you have a rental property, it’s not uncommon to earn a few hundred dollars per month. This is money that you can apply to your own budget or reinvest elsewhere. Real estate has very high leverage. If you want a glimpse into how this is true, just follow Ken Corsini’s example. Owning investment properties – particularly residential rental properties – comes with massive tax benefits. For example, you can deduct interest, depreciation, repairs, and insurance from your taxable income. This can equal thousands of dollars in additional savings for many households. The longer you wait, the more financial gain you’re forgoing. Low interest rates, generous tax breaks, and a quickly improving market indicate that the time has never been better. What are you waiting for? Agreeing with the above reasons, I would also like to add that you have 100% control of your property unlike the shareholding which is reliant on market conditions. Another feature of real estate investment is from rental income over the long term. Rental properties normally appreciate in value with inflation. This increases cash flow, without the increased expense for holding the property.